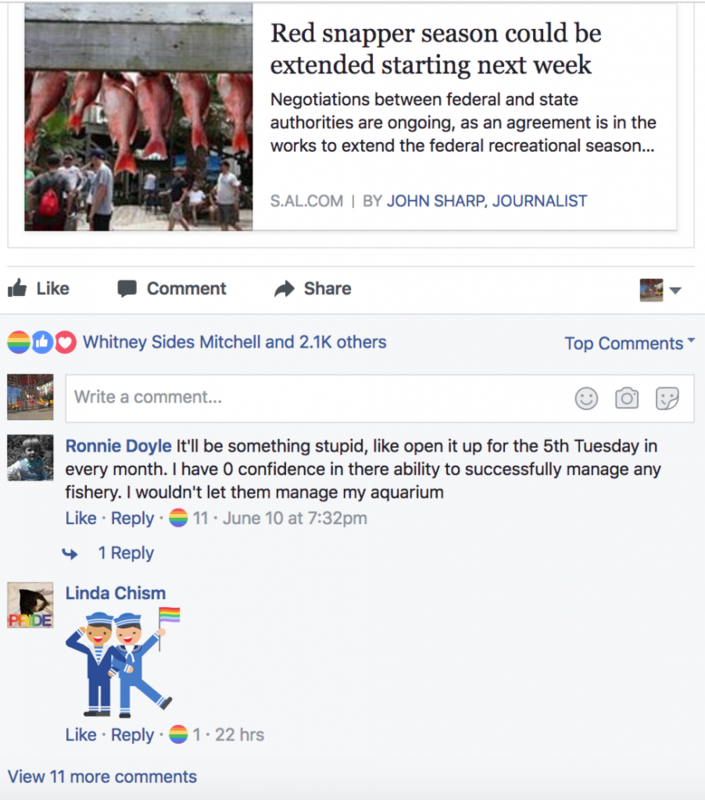 June 13th, 2017 – During the month of June, people can show their pride in the LGBT community by waving rainbow flags in the streets, and now they can also show their trolling skills by using Facebook’s pride reaction emoji. First comes love. Then comes marriage. Then comes politicians who oppose marriage equality. 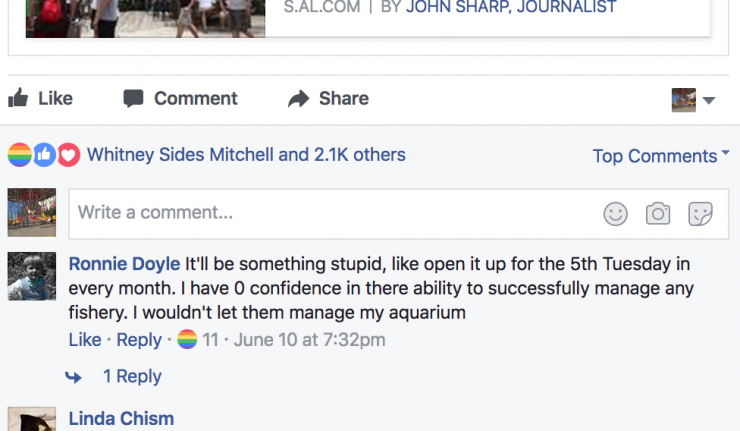 When politicians known for their anti-LGBT positions posted about any topic on Facebook, some people have “reacted” by pressing the rainbow flag icon leaving lots of gay pride on their page. One politician in particular has received the most colorful pushback. 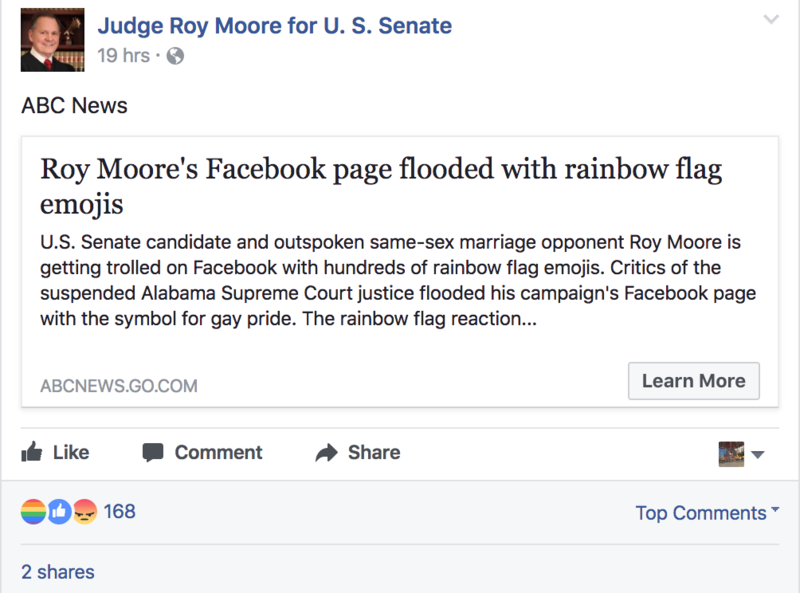 Alabama’s former Supreme Court chief justice Roy Moore’s campaign page has seen a flood of rainbow reactions with an increase over the weekend due to many pride festivals across the country. Moore is now running for US Senate and his posts on topics ranging from recreational angling to Obamacare repeal have fallen victim to a fabulous takeover. The judge even began sharing news stories which covered the flood of pride reactions and, as you could imagine, those were met with the same reactions. 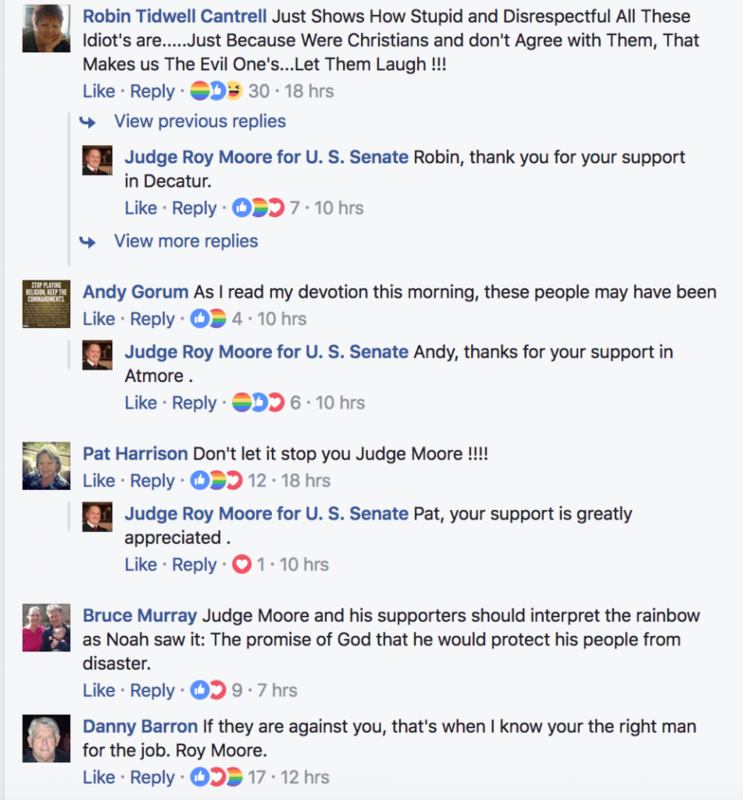 People’s comments showing support of Moore and the replies of the hopeful candidate tasted the rainbow, too. The rainbow trolling doesn’t seem to be exclusive to U.S. politics. 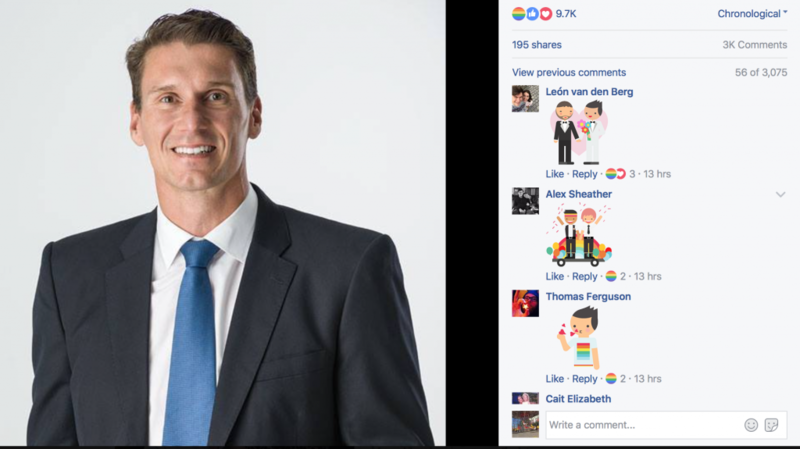 Australian conservatives senator Cory Bernardi has had the same social media experience during the month of June as a vocal opponent of marriage equality. His profile picture has currently been given the pride treatment over 7,000 times. The joke seems to have wings past politicians but aiming the pride flag at oppositional views may be something that hangs around for a while. Or at least as long as Facebook has the option. Do you think using the pride reaction on Facebook as a way to troll politicians with anti-gay positions is FUNNY or OFFENSIVE? Vote and comment below. Its a rainbow. But like everything else people will stomp their feet that they don’t get a special thing too. Like grow up, acting like a bunch of 7 year olds.